Most of the comic book influences on Batman Begins are fairly evident. Everyone points to Frank Miller’s Year One, the redefining four-part series that put the “Dark” back in Dark Knight, and they’re right to hold that book up as the major influence. Begins relies heavily on Year One for a number of things, not least among them the exploration of the Bruce Wayne/Jim Gordon relationship, the exploration of the Bruce Wayne/Alfred relationship, the Gotham Monorail, the mention of the Joker at the end, the entire character of Flass, the entire sequence where Batman calls a squadron of bats to his aid (a bat-talion, am I right? Guys?) and, of course, the entire bat-flies-through-window genesis of the hero himself. The red eyes and flames are an admittedly nice touch. There are dozens of these moments, shoutouts to fans that actually work within the context of Nolan’s origin tale (most of the time). Year One does most of the heavy lifting, sure, and The Long Halloween would actually do the same for The Dark Knight. But although the general consensus is that Year One is the primary influence on Batman Begins while a healthy dose of iconography from Batman comic book lore is thrown in for good measure, I’d submit that there’s an arc that deserves every bit as much recognition for inspiring the Batman reboot (re-bat? Guys?) as Year One has received so far. That arc is now collectively known as Tales of the Demon. This isn’t an “arc” in the way Year One or Long Halloween are arcs, as it’s not a continuously published neatly-packaged story. 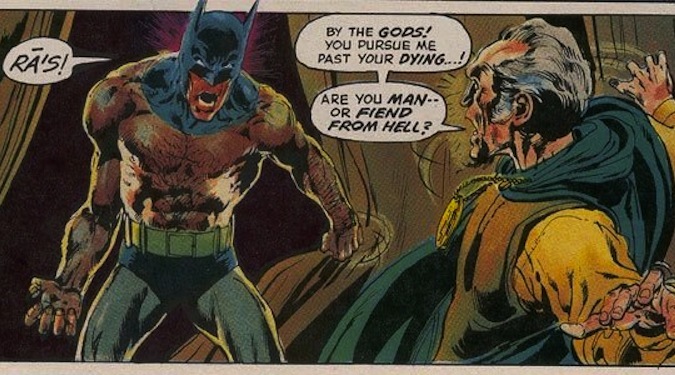 Tales of the Demon collects a handful of Batman vs. Ra’s al Ghul stories that ran in both the Batman and Detective Comics lines from 1971 to 1980, all of them written by Denny O’Neil and most of them illustrated by Neal Adams. Goyer has explicitly stated that the Ra’s stuff in Begins was taken primarily from the O’Neil/Adams days, yet the ties to Miller’s Year One seem to have eclipsed that statement where most fans are concerned. 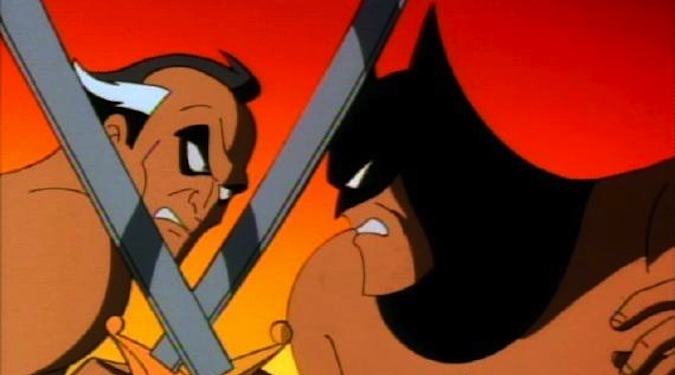 That’s one of the greatest single-panel Do Not F*ck With Batman moments of all time. 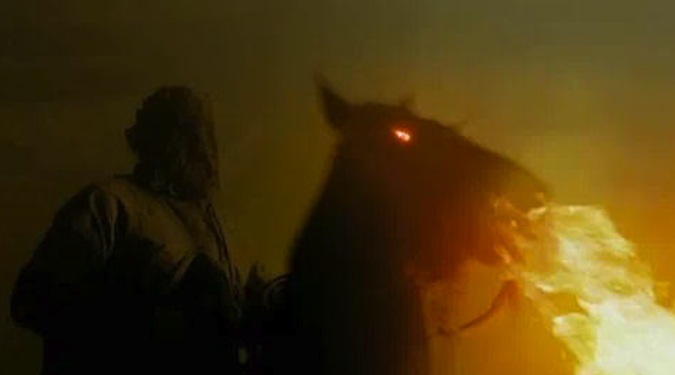 So yeah, Begins does the due diligence in recalling famous instances in Ra’s al Ghul comics lore, and certainly uses Tales of the Demon for some important visual touchpoints. 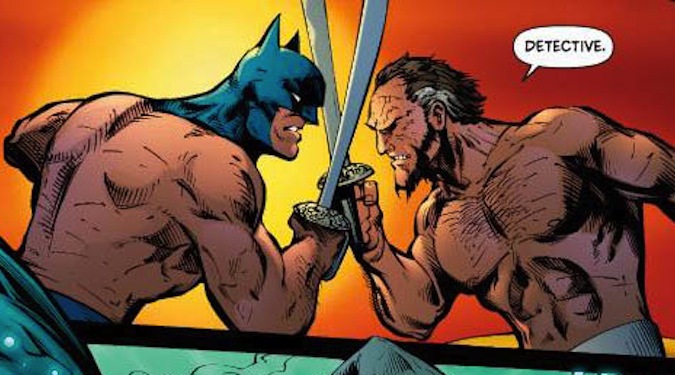 It’s in that relationship, though — the complicated Bruce Wayne/Ra’s al Ghul student/mentor love/hate pairing that Tales of the Demon introduced — where Nolan’s Begins is most surefooted. To be sure, the Ra’s we see in Begins is stripped of a great many characteristics that make him a compelling character in the comics. The literal immortality of Ra’s — bestowed on him in a fresh youthfulness upon emerging from a soak in his green-goo “Lazarus Pits” — is jettisoned in favor of Nolan’s signature realism. While certainly understandable, the decision means we never get to see Crazy Ra’s as his mind reforms upon rising from the Pit. 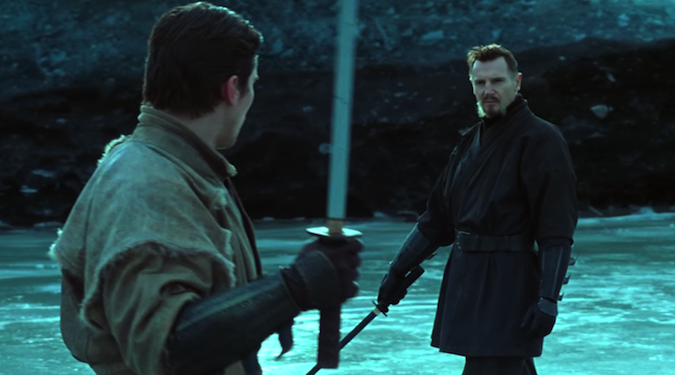 A younger version of Ra’s actually was considered, as Nolan met with Memento star Guy Pearce about the role; Liam Neeson’s mentor Ra’s is ultimately more effective in the context of the film, though The Dark Knight Rises would provide an opportunity both for a Young Ra’s and a version of the Lazarus Pit to reach the silver screen. In Begins, despite whatever inclusion or exclusion of famous comics imagery Nolan and Co. eventually decided on, the heart of Ra’s al Ghul’s character is definitely intact. Goyer had definitely read the issues collected in Tales of the Demon, and I wouldn’t be surprised if Neeson flipped through them as well — he captures the sophisticated thought-process of a very determined man with a very singular goal, and his Ra’s serves as the perfect blend of mental and physical prowess that would come to shape Bruce Wayne’s caped crusader. 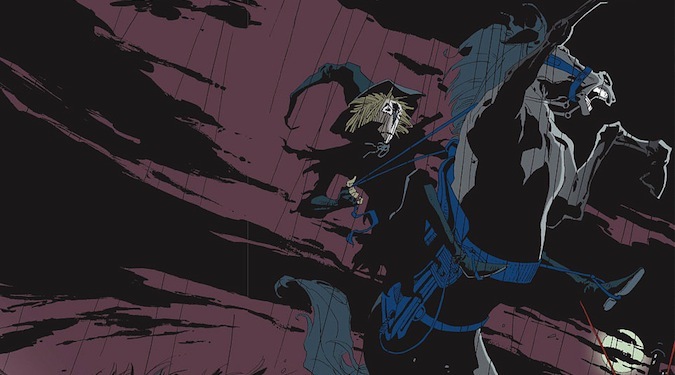 Year One provided the framework and a lot of the larger subplot arcs, but the character details evident in both the villain and the hero owe more to Tales of the Demon.